A dynamic MBA in operation with over 8+ years of experience in Operation, Projects & Document management. Extensive experience in Logistic planning, Documentation, Data Analysis, Projects & Service Operation, Visibility & Monitoring. Possess a proven track record of preparing, executing & monitoring project plans and programs, ensuring that work is carried out in accordance with the Standard operating procedures and client’s satisfaction. Able to ensure timely, safe and cost effective design and implementation during the life cycle of projects from conception till customer satisfaction. Reporting to Manager (Integrated Logistic Control Center Operation-4PL). Responsible for “British American Tobacco-Global Leaf Pool project import-Export document validation. Preparing Transport Order, Shipping instruction, Fumigation Certificate, E-Way bill, Container-release documents & invoices as per requirement (ZF5/ZF8). Handling Track & Trace, Freight bill audit process & end to end shipment coordination. Responsible for process updation & Continuous improvement project implementation. Accountable for SCEM Vessel booking, Container Stuffing, Vessel Departure update, visibility & Monitoring, Container tracking, Macro enabled document uploading process & Delhi Daily Status Report update. Working in close coordination with global customers, suppliers & KN UK team. Preparing Delhi BSC & Productivity report and presentation of same in global Managers community. Reported to Project Officer (State Nodal Officer – Rural Development Department). Preparing Circular (SOP), Presentation, MOM Agenda, State progress report, Training Document etc. Presenting program performance to Program Governing Board and Program Advisory Board. Fulfilling data needs of different program units and other stakeholders. Responsible for MIS Issue (Awaas-Soft) & monitoring state level IAY physical & financial operational flow. Preparing monthly review note on various schemes as IAY, DRI, Rural Sanitation etc & Keeping track of program activities for timely initiation and completion as per work plan. Working in close co-ordination with District development commissioner, DM, BDO, PO, & other secretariat staff for completion of various programs within specified time frame. Evaluation of IAY progress in various frames as MPR vs. MIS, Projected vs. Actual, Utilization vs. funded etc. Reported to Project Manager (Optical Fiber Manufacturing Plant Capacity Enhancement Project). Involved in Material management, Vendor Management, Monitoring, Report generation and maintenance. Accountable for deployment Man-Power, tools, machineries (cranes, JCBs etc), vendor as per requirement at site and ensured employees comply with all safety & clean-room procedures on shop floor. Supported Design Engineering, Execution, Automation and Testing. Supervised heavy material & Chemical handling, safety of site and SOP preparation. Executed electrical and mechanical installation, commissioning and troubleshooting. 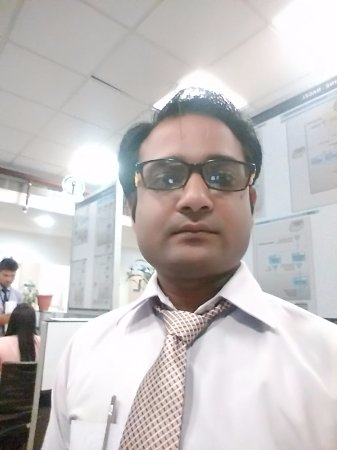 Provided technical support to project team and customers and interacted with contractors/vendors and other departments for day to day operational jobs and requirements. GSK Parma Import & Export, BAT GLP Documentation, Indira Aawas Yojna, Recruitment, Social Audit, ASI dual sinter installation & commissioning, Sinter card base to PLC base conversion, Plant restoration. Etc. Recognized for quick learning and demonstrated ability to handle glass plant project single handedly with “Rising Star Award” from Sterlite Technologies Limited. Recipient of “Spot Performer Award” from Sterlite Technologies Limited for well Planning & execution of fiber plant reliability lab Construction, shifting & Installation project in small timeframe. Managed web based process of recruitment of 10,000 contractual staff for IAY for which State has got ”Gold Medal Award” from Central Government in the field of E-Governance implementation. Conceptualized & Presented data migration tool to save 4 FTE/Year & Received appreciation from NM. Designed & Implemented many VBA based tools/Dashboard resulted total saving of 2 FTE. Proficient in (ERP) SAP MM, PM, PS, SCEM & Oracle Application. Proficient in MS Office-2013, MS Project, Aawas soft, IWDMS, Visio & Internet Applications. Proficient in Advance Excel, VBA, browser automation & workfusion.